Attracting Money With Eas. . .
Do you have a burning desire to be rich? Are you neck-deep in debts? We are pleased to invite you to our ‘Money Workshop’ by Dr. Vikas Khanna. Be sure that all the obstacles between you and wealth will be eliminated once and for all. "Money Workshop" is a perfect blend of ancient tools and modern N.L.P (Neuro-linguistic Programming) technique to fulfill your deepest desires. You will find answers to all your questions with our workshop. 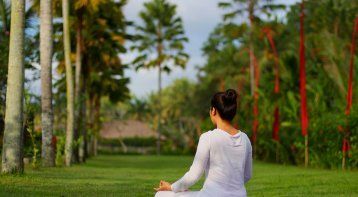 Come to us and know the connection between material and spirituality and the ways to reap its benefits to the maximum. This Makar Sankranti could be the best turning point of your life. Do you want to be a money magnet? The law of becoming RICH would never fail you! • Assessment of blocks through graphology and questionnaires. • Remove your financial blockages. • Learn ways to multiply your wealth. 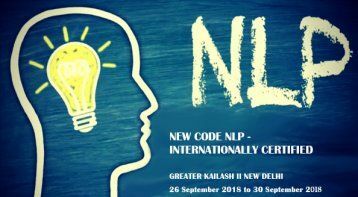 • Gain confidence and move towards abundance through NLP Technique. 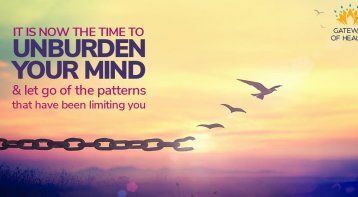 • Train your subconscious mind to gain abundance. • Discover the relationship between spirituality and money. • Learn how to invest your money through a fail-proof method. 1. Free life positive surprise goodies kit. About the Facilitator: - Dr. Vikas Khanna is a certified Corporate Trainer, Guide, Hypnotherapist, N.L.P expert and a former dental surgeon. He switched his career after 7 years of dental practice following his passion and gut feeling. Vikas is working as a Counsellor, Hypnotherapist, N.L.P trainer since past 10 years. He is highly active in both corporate and public-sector organizations. He also provides workshops on Stress management, Money Growth, Beyond Spirituality, Say Goodbye to Anxiety, and much more. "I have been associated with life positive workshops since last one year and i have gained so much positivity in my career that i can't thank them much. Thank you Life Positive. Parteek Goyal"
"Good team work, I was impressed with the session. Every staff members were helpful, however the pick up being Monali, since I was unable to reach the location and disturbed her at 8am, she was extremely professional and was helpful in every sense. Thanks once again...."
Workshop To Unburden Your Mind And Let G. . .